"Mayur Metals provides solutions for every conceivable and convincible need"
"There are more than 10000 dies for 8000 different profiles"
"Thickness ranging from 0.4 mm to 100 mm"
"Profile size varying from 10 mm to 200 mm"
By keeping in mind the various requirements of our clients, we are involved in offering the best quality of aluminum profiles. These aluminum profiles are highly used as the components in building and also enhance the appearance of your kitchen cabinet doors and office interiors. Basically, aluminum is durable, soft, lightweight and ductile metal with the appearance of silver to dull gray, depending on the surface roughness. Our Aluminium Profile Manufacturer use high-quality material that conforms to the high standards of excellence. We are one of the best Aluminium Profile Manufacturer and Supplier in Delhi, India offers the products that are highly demanded to build everything ranging from simple frames to fully automated production lines. 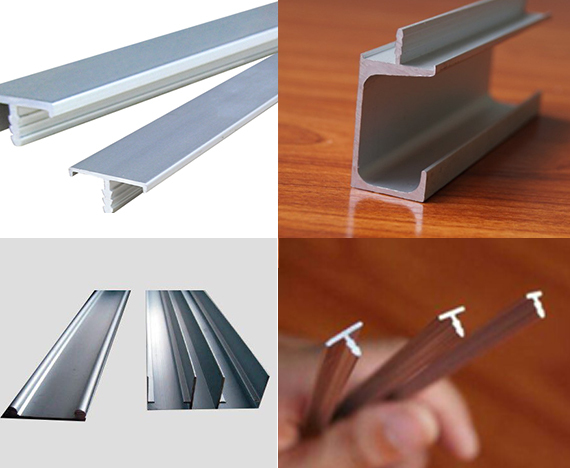 In all over the world, these aluminum profiles are used for building the conveyor systems, machine frames, industrial safety fences, linear motion systems, workstations, clean rooms, and workbenches.